The 8th grade Service Nepal trip was an eventful one! After leaving campus, we drove to the Chandragiri cable cars, in which we rode to a temple. After doing some sightseeing, we hiked to our campsite. On the day of arrival, we learned about the schools we would be working at; the one we worked the most on was a K-5th-grade school, 45 minutes away from our campsite. Over two days, we built a library and a playground out of tires in one school and repainted a wall on the other. We also experienced the life of Nepali farmers when we milked goats and worked on the fields for an afternoon. But our trip wasn’t all about work; a memorable activity was when we boated on a lake that we hiked down to, and we held a bonfire on the second night. On the fourth day, we revealed the new library and playground to the children at the K-5th-grade school, and they were excited to see what they had gotten. Along with a number of children’s books, we had also put things such as games, whiteboards, and balls in their library that they were able to play with. We had an amazing trip together, and the most important part was that we were able to be part of a community we normally aren’t. Despite small bumps in the road, this was still one of the most fun Service Nepal trips so far. Grade 7 ventured off to the village of Okhreni to help build a library for the 156 students of Ishwori Basic School. After hiking up from Sundarijal, grade 7 quickly settled into camp before heading out to meet the students who had prepared a welcome program for Lincoln School. Two Nepali speakers and two non-Nepali speakers from grade 7 also participated in the welcome program, thanking everyone at Ishwori Basic School for welcoming them. On day 2, after our daily morning yoga, grade 7 went for an incredible hike through jungles and thick bush to the Deurali View Point (2472m). On day 3, the class went back to school to help finish the library. The library project was entirely student-driven. Teachers took a step back and let the students decide how the library was to be set up. 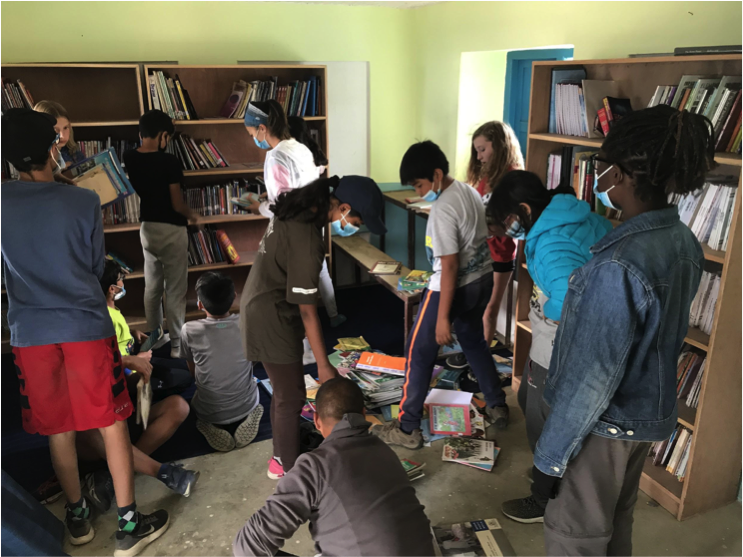 After hours of cleaning, clearing and (with the help of local students) sorting, grade 7 had built an incredible library. Day 4 began by helping our local host clear a terrace full of unwanted growth. Even though the afternoon was cut short due to thunder and lighting storms, grade 7 was able to put the finishing touches on the library ahead of the coming storm. We spent the evening playing games and learning about lightning safety, reflecting on our service experience, and dancing by the campfire. All in all, Grade 7 had a really collaborative, illuminative and positive experience! This year the Grade 9 class traveled to Chitwan to work with the Tharu community. Our service objective was to build a biogas digester for several families. During the trip, we learned about the various stages to develop this sustainable digester. To begin, we were separated into two groups in order to dig separate holes. That day we battled both the sun and the earth. We had to dig a 5-foot hole with the tools provided to us: shovels, pickaxes, hoes and our undying will to succeed. We ended the day and we had conquered the hole. However, we still had a long cycle that lied in wait. The next morning after a nice hot beverage, we were back full pedal to the metal. This day we needed to create some cement and place some bricks on the cement. Another long day of working lay ahead, but we were ready. Sunscreen on, water bottle filled, and shovel in hand we began working. In the blink of an eye, it was complete. After a night of good sleep, we awoke to another 20KM bike ride. We biked along the serene Chitwan roads until we arrived at the destination. The dome of destiny lay dormant waiting for its construction. We got straight to work. The day passed by, the morning dew became one with the clouds above. The sun rose from its dormancy and showered us with its harsh light. After we wiped the sweat off our brow, it was complete. What happened in between all this work was a lot of bonding. We had many opportunities to see Nepal in a completely new light and had many deep conversations. All in all, I’m sure we can all agree that this trip was truly therapeutic. Our Grade 11 students stepped up their preparations for Service Nepal by kayaking in our heated swimming pool. This was an opportunity for our students and teachers to meet their river and kayaking guides, while practicing important kayaking and water safety skills in a controlled environment. On January 25th, Anne McGuinness presented Lincoln School’s service-learning program during the LSPA Coffee Morning. At Lincoln we believe that service-learning is a partnership that addresses genuine community needs and includes continual reflection and analysis. Our service-learning program strives to foster in our students empathy, inspiration, and the ability to selflessly serve as compassionate global citizens and leaders who actively engage within their communities. Successful and meaningful service-learning requires the support, involvement, and shared commitment of all stakeholders. 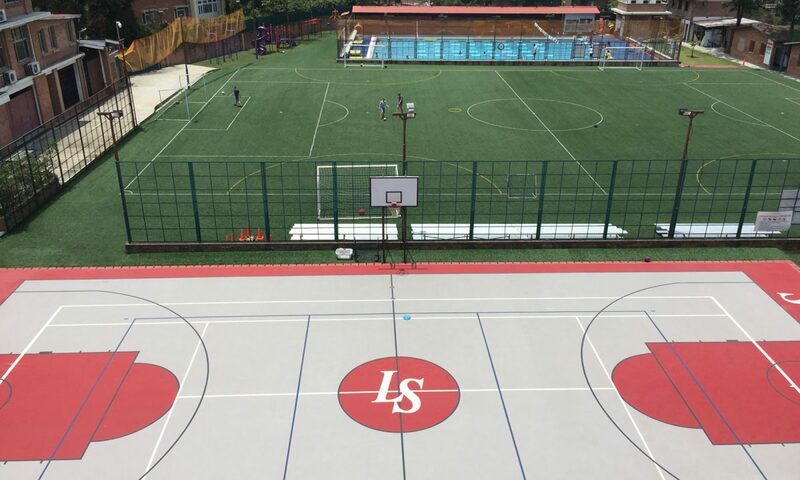 As Lincoln School community members, you can support our service-learning programs by connecting us to your networks; we are looking to build long-term sustainable partnerships. You can lend us your expertise; our students and student-led initiatives can benefit from your mentorship. We encourage you to get in touch with Anne (amcguinness@lsnepal.com) if you are interested in getting involved or learning more about Lincoln’s service-learning program. On Thursday, January 24th, two representatives from Koshish Nepal visited Lincoln School to talk about mental health. Koshish is the first mental health organization in Nepal whose management is led by beneficiaries themselves, also known as “self-advocates”. Mr. Matrika Devkota, the founder of Koshish, and Ms. Kamala both shared their personal compelling stories in order to help us understand the reality of living with mental illness in Nepal. Koshish believes that providing self-advocates with a platform can break the silence and stigma associated with mental health by empowering those who have experienced and recovered from mental illness first-hand. During the presentation, Mr. Devkota encouraged us to prioritize our overall wellbeing by talking to trusted family, friends, and/or teachers when we are experiencing distress. On behalf of the Lincoln School “Movember” men and the High School Student Council initiative “Wear It Pink”, Mr. Sam Davis presented Koshish Nepal with a donation of 40,000 rupees. This money that was fundraised by students and staff was donated to recognize and support the important work that Koshish is doing to rehabilitate people suffering from mental illnesses in Nepal. Please visit koshishnepal.org to learn more. 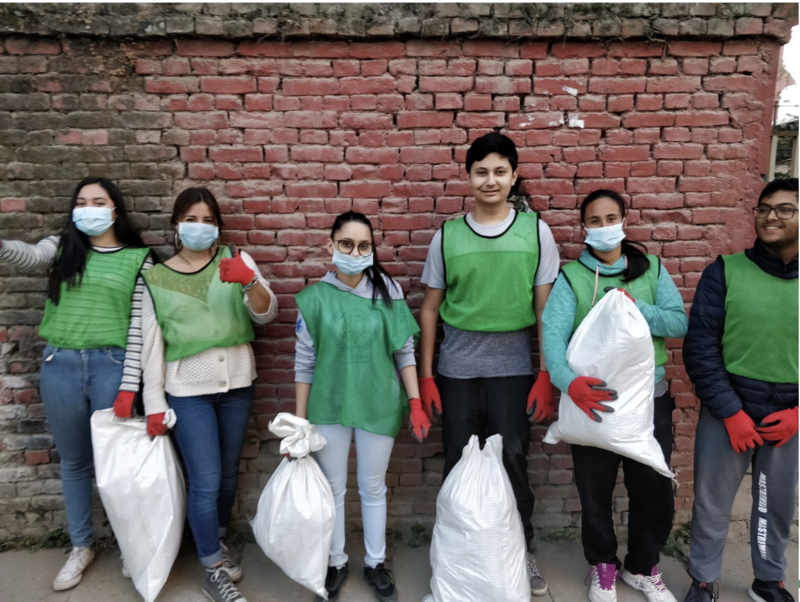 On Friday, November 16th, the student organization Project Impact hosted a cleanup in the Rabi Bhawan neighborhood to raise awareness of the state of waste in the area, and highlight improper waste management techniques. The cleanup was very successful with a number of high school students attending and participating. All recyclable trash that was collected was handed over to Doko Recyclers. Project Impact hopes to host other cleanups in the future to further spread awareness of the need for effective waste management in our local community! 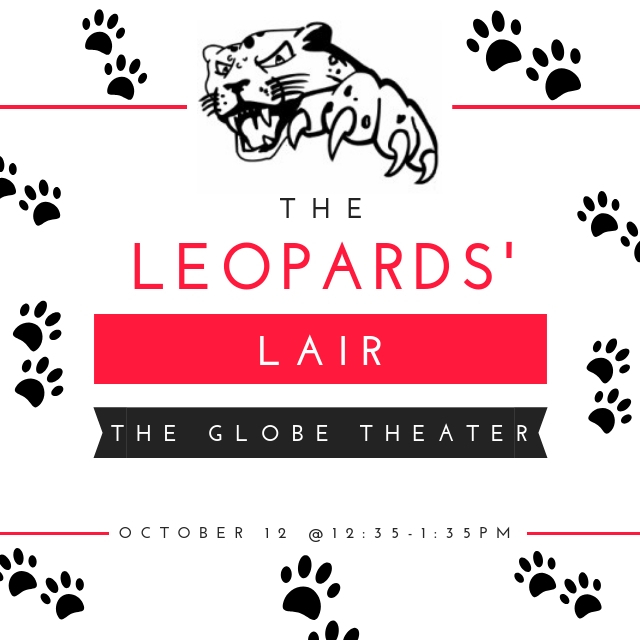 Launch of The Leopards’ Lair! On October 12th, the eleventh grade Innovation Lab hosted The Leopards’ Lair, Lincoln’s first ever investment-seeking event. Seven 11th grade businesses entered the lair to compete for investment from the leopards. Who are the leopards? They are high school students, staff members, and parents who had an opportunity to become investors. Following an engaging round of business pitches in The Globe Theater, leopards were invited into the Gallery to buy shares of the eleventh grade businesses. A total of 60 shares were on sale and we are excited to report that every business SOLD OUT! Thank you, leopards, for your support! All businesses will declare their profits on December 7th. Dividends will be paid to all investors during the last week of school before Winter Break. In Grade 5 music we have been learning about folk music and protest music. To culminate our unit, we embarked on a creative journey to write our own protest song. Last week we traveled to the Kathmandu Jazz Conservatory to professionally record our product. The song will be available for purchase at the Back to School Picnic on September 29th. All proceeds from our song will be given to the Kathmandu Animal Treatment Center (KAT Center). Below are some photos and a video from that field trip! In the mixing room, listening back to the song! In the studio checking the microphones! Getting ready to record! Learning about the mixing board in the sound room! On Tuesday, September 28th, the student organization PLUM (Please Learn and Understand Menstruation) met with social entrepreneurs Jesselina and Shubhangi Rana to learn about their new initiative “Pad2Go”. Pad2Go is a social business that imports pad vending machines from India for installment in Kathmandu schools. Part of the profits from the pad sales will be donated to the NGO SAATHI to build toilets for schools in far-west Nepal. PLUM will be discussing the viability of Pad2Go at Lincoln School during their next meeting.